Identify savings opportunities. Measure the results. If you are dedicated to improving the efficiency of buildings, we can help. 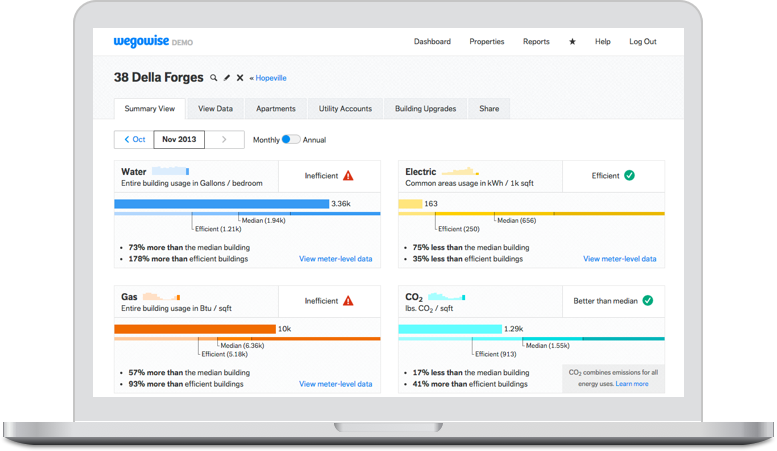 Our software provides timely, insightful, and actionable information to help you manage energy and water use. Find out how companies like yours are benefitting from WegoWise®.